Having lived in the Washington, DC metropolitan area for over a decade, I thought I knew all the ins and out of the city – much less the food scene. A recent food tour proved me wrong about this multifaceted city. If you’ve followed my blog for awhile, you may recall I recently relocated to San Francisco, CA – a city renowned for its food and wine – from Washington, DC. As many of my earlier blog posts centered around DC’s food scene, one can tell that I have the utmost respect for DC as a food town, and one that is grossly underrated. Returning to my hometown, I was reminded just how important DC’s geopolitical and culinary history as part of America’s story. So I’d like to give credit where it is due! [boring part over]. My reminder came in the form of a food and walking tour organized as part of a friend’s bachelorette party. With my long history with DC, it has been a long time since I played tourist in my hometown. Coming back to do just that was a great way to see the city with new, fresh eyes. 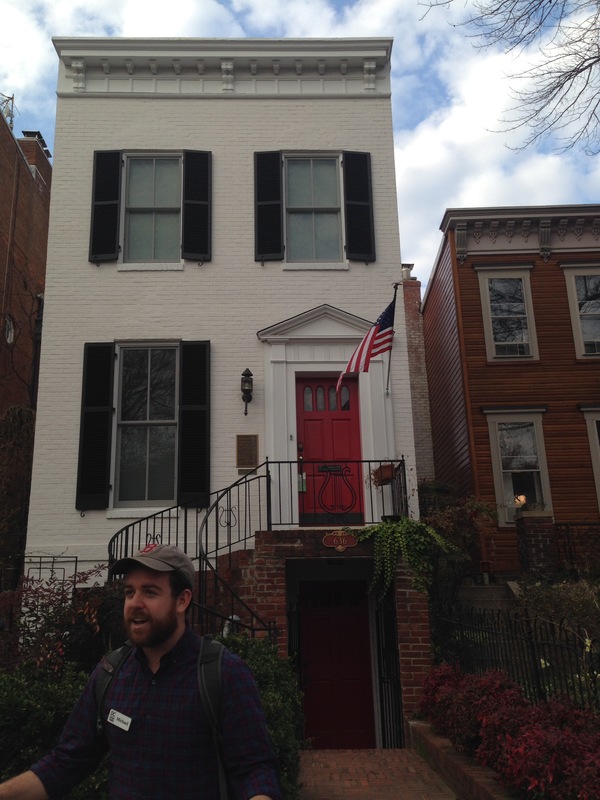 The tour centered around DC’s Capitol Hill, and specifically its Eastern Market/Barracks Row neighborhood. In many ways, Capitol Hill has been not only the epicenter of American politics, but also of the Black (African-American) and immigrant experience in the U.S. – both marginalized and disenfranchised, while at the same time playing critical roles in Washington’s story. The food tour showed both aspects of this famed neighborhood. On this particular outing, Stop 1 was Capitol Hill Tandoor & Grill. I regret that I missed the stop due to another commitment, but my friends raved about the Indian and Pakistani food served. Our tour guide explained much of Capitol Hill’s history during the stop, with a bit of walking in between to provide examples of Capitol Hill’s trademark architecture. 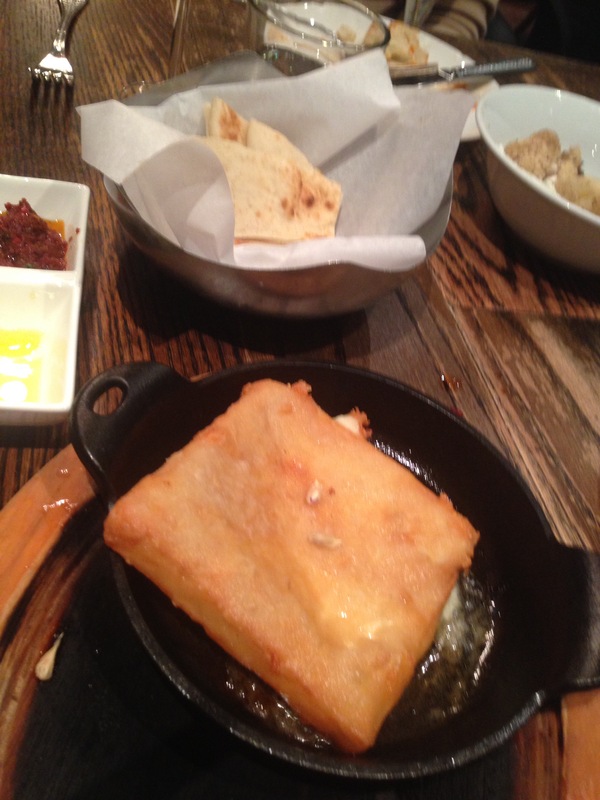 Stop 2 was Cava Mezze, a relative newcomer to the DC area. The fast-growing chain, native to the area, features Mediterranean small plates at its upscale restaurants (this location at Barracks Row; in Arlington’s Clarendon neighborhood; and in Olney, Maryland). Its sister chain offers fast-casual versions of Mediterranean comfort food at its fast-casual eateries, known as Cava Grill (in Bethesda, MD; Tyson’s Corner and Merrifield in Virginia, as well as upcoming locations in Los Angeles and New York City). I have plenty of past experience with Cava Mezze and Cava Grill, but sampling the restaurant’s most popular dishes acquainted me with new flavors instead of my own standards. We enjoyed a lovely lamb and tomato-based orzo dish; roast cauliflower with a swipe of Greek yogurt; and flaming, breaded and fried cheese. We certainly needed a walk after those. And walk we did, through neighborhoods of row houses decorated with Gothic gargoyles and grotesques – learning the differences between the two (very similar) decorative architectural elements. We passed through a storied alley that witnessed generations of low-income families, artisans and their collective spirit of community, disrupted by DC government’s mandate to clean up the neighborhood for purported sanitary purposes. Today, that alley is the gentrified home of the wealthy – but they are friendly! 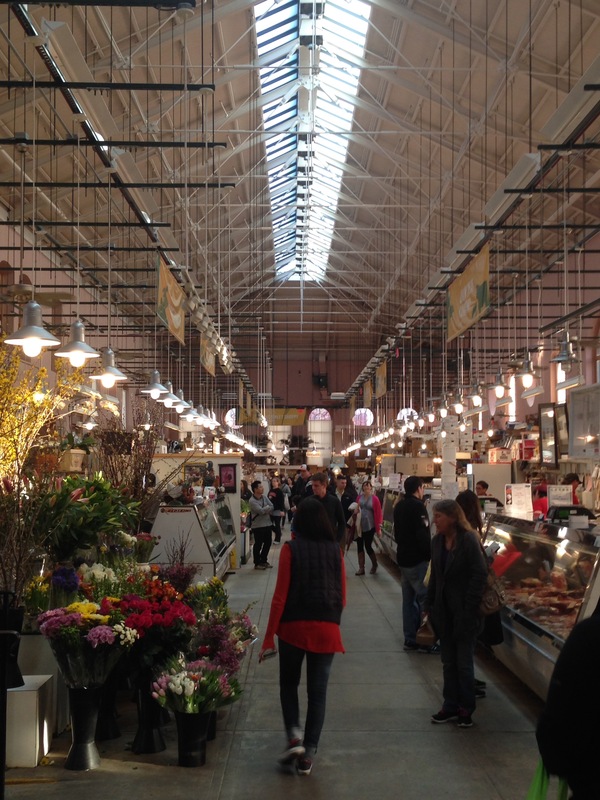 Stops 3 and 4 were at DC’s famed Eastern Market – the only remaining functional market of the city’s original four (Northern, Western, and Southern). The indoor-outdoor market bustles on weekend mornings with a farmer’s market outdoors, while local artisans outdoors complement them with permanent food stalls indoors. Just like historic food halls in many other US cities, this one features local and international favorites, from produce, meats, and fish to prepared foods and a favorite breakfast/brunch spot. 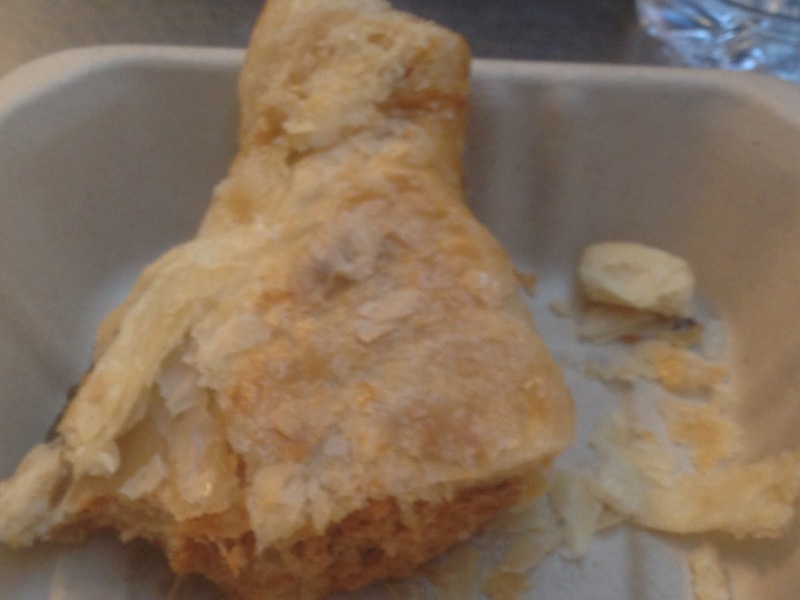 Here, we sampled sweet and savory El Salvadorian chicken empanadas, as well as DC half-smokes (sausages). We moved along to conclude the tour at Ted’s Bulletin, one of Barracks Row’s most popular diners. Ted’s combines traditional American comfort food with an air of sophistication. Try one of their homemade pop-tart; they were one of the earlier restaurants to popularize this trend (see my homage to the actual Kellogg’s Pop-Tart here) – and you’ll see what I mean. Our tour guide supplied us each with a Ted’s salted caramel pop-tart – a sweet, very American ending to a fun and educational Saturday afternoon. To take an opportunity to play food tourist during your next visit to Washington, DC! check out DC Metro Food Tours’ website here.